Many manufacturers are satisfied to tweak and copy each other's products, but that's not how Globe Fire Sprinkler does business. 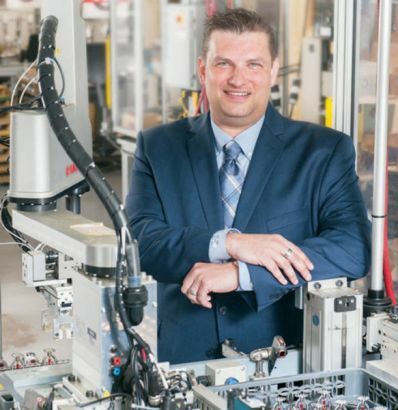 The Michigan Manufacturers Association (MMA) recognized Globe's ability to compete against larger 'Goliaths' through the development of game-changing products, using all of the resources at its disposal, including building lasting relationships with customers and suppliers. Established in 1902, MMA now represents the interests and needs of nearly 2,000 member companies, ranging from small manufacturers to the world’s largest and most well-known corporations. It featured Globe Fire Sprinkler in its September 2018 issue to highlight the company's strategy and work to build more than just "stuff" -- Globe prides itself on making innovative products that save people's lives. The company recently shipped a new attic fire sprinkler system that uses up to 70% less water, drastically reducing hydraulic demand, which passes savings in materials and time onto our customers. Globe's Universal Manifold Check (UMC) continues to gain traction as more and more installers recognize the labor savings gained by consolidating a floor control system into a single product. Globe will soon be releasing more novel, new products as it continues to execute quality through innovation.